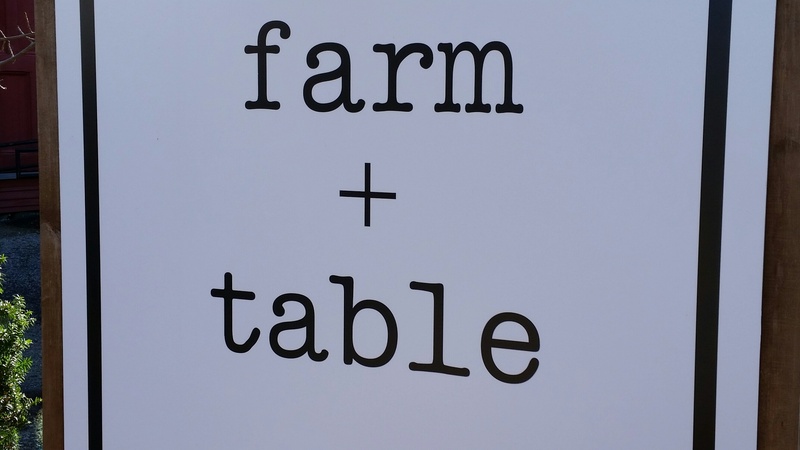 Tucked away in Kennebunkport’s Cape Porpoise fishing village, the newly opened farm+table is a real find for food lovers – and everyone else too! Liz and Bruce Andrews first fell in love with Kennebunkport and decided to make it their home after walking away from corporate life (sounds familiar!). They found a beautiful red barn in Cape Porpoise and saw the potential to turn it into a shop that matches their passion for food and the farm to table experience. 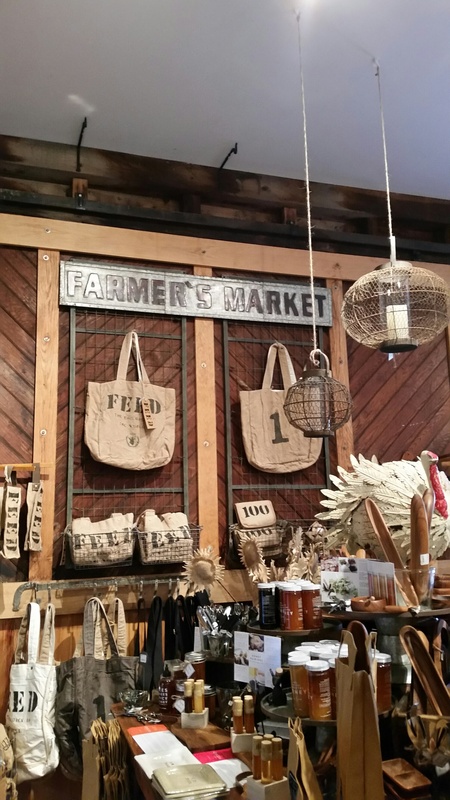 The space is not overly large, but they’ve managed to fill every nook and cranny with a wide selection of foods and gifts from small, specialized artisans from around the country. Here’s a sample of some of the things you’ll find here. Cocktails your thing? In addition to glasses, stirrers and measurers of various shapes and sizes, farm+table also offers a number of bitters, tonics and syrups for cocktail lovers. We can’t wait to try the Bittermilk handcrafted cocktail mixers. How about their Smoked Honey Whiskey Sour (“strong and smoky with hints of honey and citrus”)? I don’t even drink whiskey but that makes me think I might have to start just to try that one out! 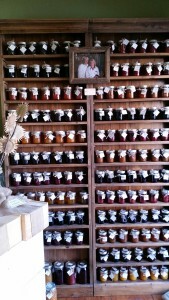 As you walk in the door, on the right side, there’s this beautiful wall of hand crafted canned preserves. I was immediately transported back to summers on the farm with my grandparents. 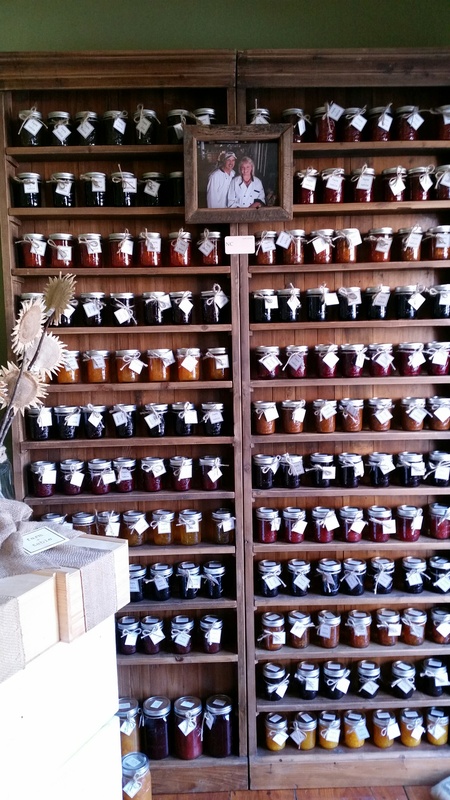 My grandmother would spend hours at the end of each summer putting up preserves, fruit and vegetables to see them through the winter months. 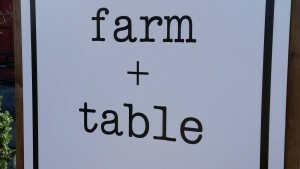 farm+table bring a bit of that to Kennebunkport through the artisans they source these small batch items from. I’m currently in love with all things honey and they have a very enticing range of honey’s to sample including the Brooklyn, NY based Mixed Made Bees Knees. We’re currently enjoying their Spicy Honey over English muffins. Starting with chemical-free wildflower honey from a family-run apiary in the Hudson Valley, the honey has been infused with a mix of chili peppers for a perfect balance of sweet and spicy. No additives or chemicals, this brand really highlights the philosophy farm+table have brought to their selection of product ranges. There’s so much on offer in this wonderful little shop, we can’t even begin to cover it all. Items range from dinnerware to woven door mats. For example, I had never thought about how many different cutting boards there could be in one store. Handmade by real crafts people, I would love either the marble or a range of cherry, maple and walnut wood boards. These are works of art, not just kitchen tools. Bruce showed us his favorite product our last time in the shop. A barbecue grill cleaner called the “Great Scrape”. This wooden paddle is a fantastic alternative to those wire brush barbecue grill cleaners. It’s a great gift idea for anyone with a bbq enthusiast in the family! There really is something for everyone here. So, a little off the beaten path, full of very interesting items, this shop is another reason to make the trip away from Dock Square to Kennebunkport’s Cape Porpoise. We promise you, you’ll be glad you did! Please know how touched we are by your support and kind words!!! Our goal is to preserve the simple pleasure of bringing friends and visitors together for an enjoyable experience. Whether it’s folks out for a walk popping in to say hi or visitors looking for a special gift to take home, we hope to be part of a wonderful day in the charming village of Cape Porpoise. Thank you! We’ll be out soon for some Christmas shopping. We were in Wells visiting friends in September and found this jewel! So many fun things to look at and purchase. I love everything i bought that day and look forward to going back next time! The guys in our group loved the little red truck too–so cool!! We forgot to mention the red truck!! It’s all good.